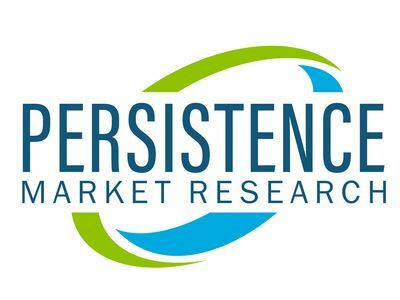 NEW YORK, April 2, 2019 /PRNewswire/ -- PMR's recently published market report titled "Alkyl Polyglucoside Surfactant Market: global industry analysis 2013–2017 and Forecast 2018–2028," examines the alkyl polyglucoside surfactant market and provides crucial insights pertaining to the market. According to PMR analysis, the global demand for alkyl polyglucoside surfactant is estimated to be valued at US$ 902.1 Mn by the end of 2018 and register a 6.8% CAGR over the period of 2018 to 2028. This report provides an overall assessment of the global alkyl polyglucoside surfactant market through segmentation on the basis of different primary functions and applications. In the recent past, there has been a significant rise in the demand for home care and personal care products in developed as well as developing regions. This growth in demand can be attributed to the changing living standards and growing per capita income and spending around the globe. This growth in the demand for home care and personal care products is expected to, in turn, drive the market for raw materials such as alkyl polyglucoside surfactants, chemical intermediates and other additives. Moreover, the increasing demand for biodegradable and eco-friendly alternatives in Europe and North America is expected to drive the alkyl polyglucoside market during the forecast period. Stringent government regulations pertaining to the manufacturing of products and maintenance of hygiene and safety standards in food, pharmaceutical and biotechnology industries are expected to drive the demand for surface disinfectant chemicals and subsequently, that for alkyl polyglucoside surfactants. In the recent past, the demand for construction chemicals has been significantly high in developing and developed regions, owing to the significant rise in construction activities across infrastructure and commercial sectors. Being a concrete admixture, the demand for alkyl polyglucoside surfactants is expected to increase alongside the growth of the construction chemicals market during the forecast period. Apart from this, the availability of alternative products in the market is expected to hamper the growth of the alkyl polyglucoside surfactant market. The global alkyl polyglucoside surfactant market is estimated to witness healthy growth, owing to the rising demand from home care, industrial & institutional cleaning chemicals, and personal care applications. Among the segments by primary function, the cleansing agent segment is estimated to gain traction in terms of demand over the forecast period. On the basis of application, home care and cleaning chemical segments are estimated to grow at significant CAGRs of 6.0% and 5.7%, respectively, over the forecast period. The China alkyl polyglucoside surfactant market is projected to hold a prominent share, in terms of both demand and supply, during the forecast period. Significant growth of the manufacturing industry in the region is expected to drive the demand for alkyl polyglucoside surfactants. South Asia's alkyl polyglucoside surfactant market is estimated to remain a high value-high volume market throughout the forecast period. North America and Europe alkyl polyglucoside surfactant markets are estimated to register steady growth over the forecast period. India and ASEAN countries are also expected to remain lucrative markets during the assessment period. Some of the key players profiled in this study on the global alkyl polyglucoside surfactant market are BASF SE, DowDupont, LG household & healthcare ltd, Huntsman Corporation, Croda International PLC, Shanghai Fine Chemicals Co. Ltd, Galaxy surfactant, Pilot Chemical Company, and SEPPIC s.a, among others. The alkyl polyglucoside surfactant market is an organized market wherein a significant share of the market is held by the top 5 manufacturers of alkyl polyglucoside surfactants, globally.